Take wheat flour. Add pepper, salt, 1 teaspoon oil and knead dough. Dough should be hard. 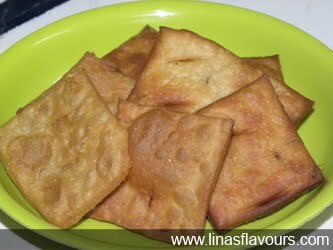 You can use these puris as snacks also any time you like.